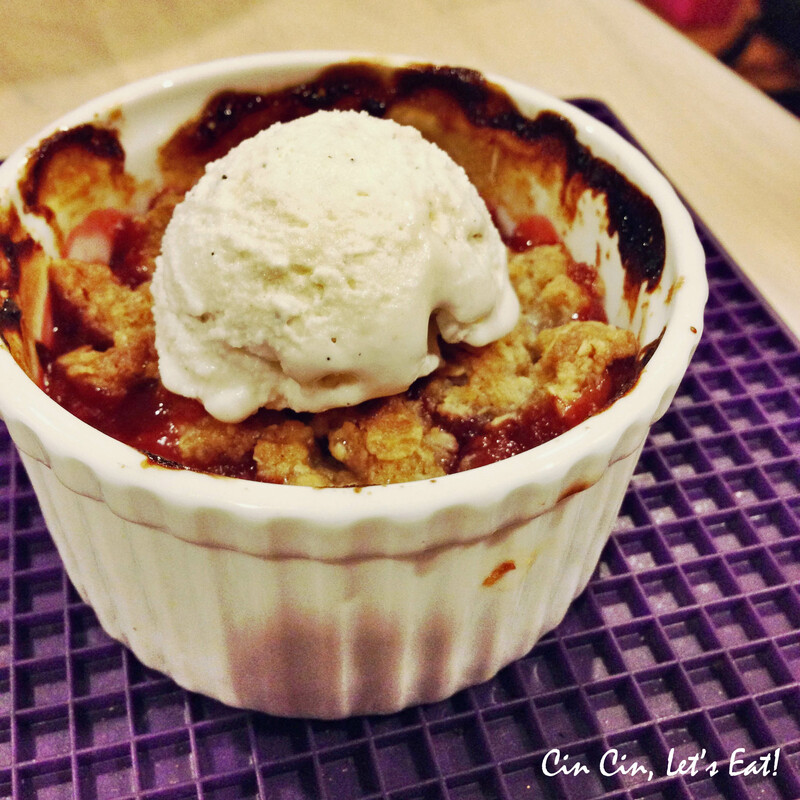 Strawberry Rhubarb Crisp [recipe] – Cin Cin, Let's Eat! 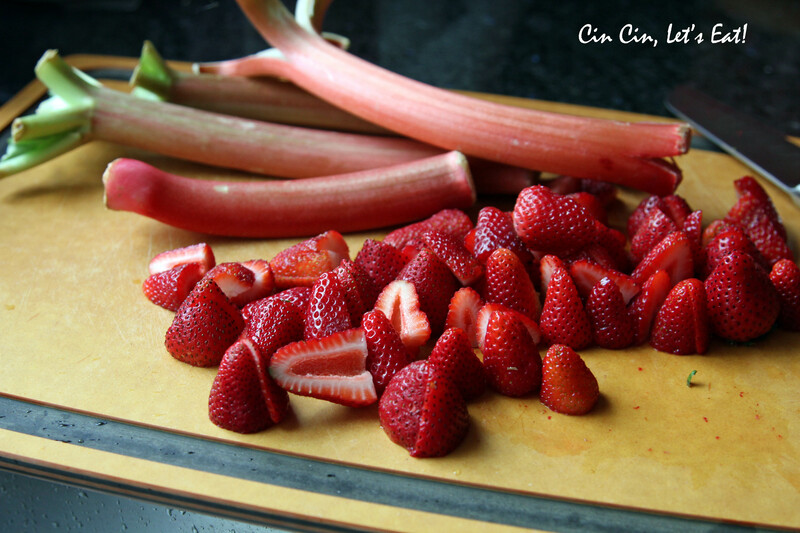 Rhubarb…is it a fruit or vegetable? Growing up in Taiwan, Rhubarb and I have never cross path. Majority of the people there probably have never heard of this perennial. 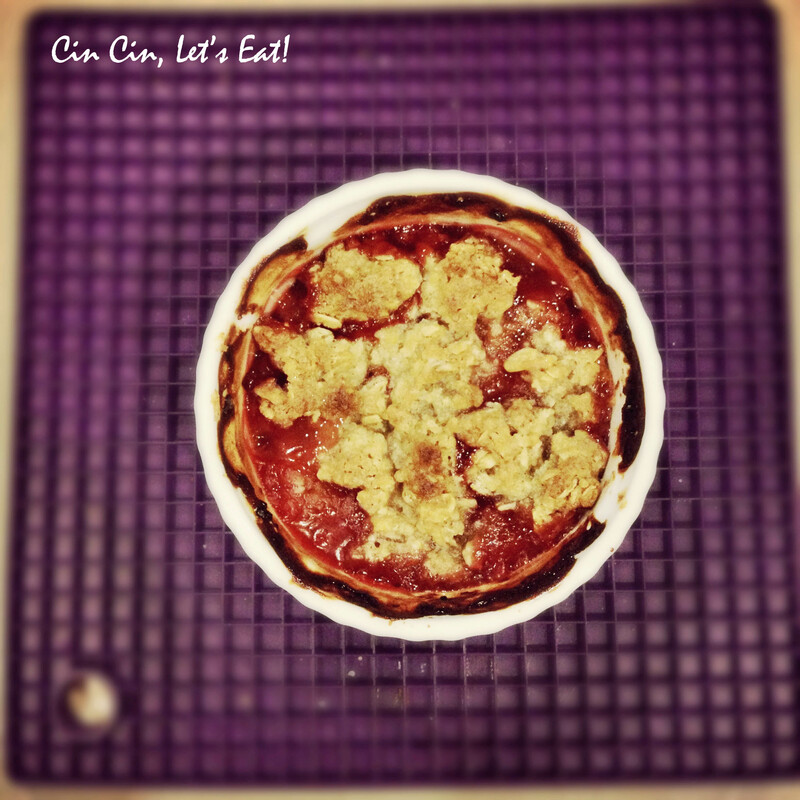 As a teenager, I wasn’t an adventurous eater so I stuck with what I liked when dining out. My strong affinity to food and cooking started right before college, and I think it wasn’t until my 3rd year in college when I had my first taste of a strawberry rhubarb pie. Still, I have never tried to cook with rhubarb, until I opened up the last month’s produce box. Bam, there they were. Four beautifu red stalks alongside with a basket of strawberries. I think the message was quite clear. 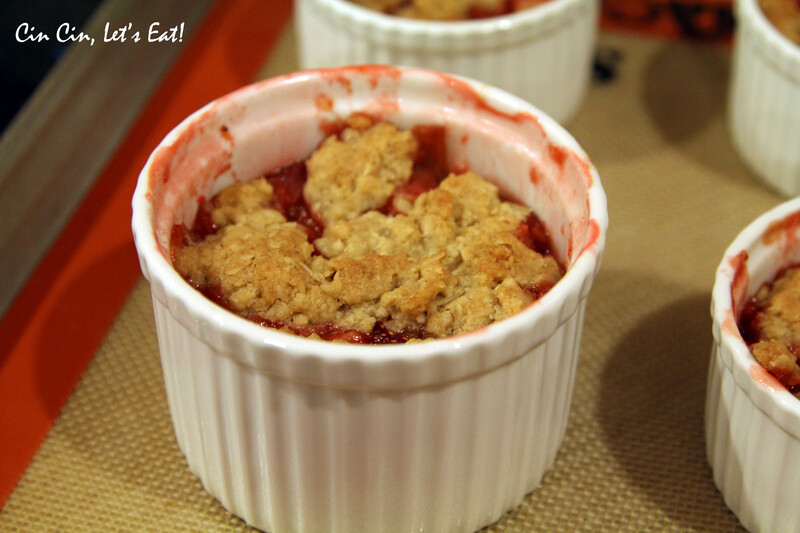 I looked up some pie recipes but decided to go with the Barefoot Contessa’s strawberry rhubarb crisp (mainly due to how failproof her recipes are and they always turn out delicious and wonderful.) The acidity and tartness that rhubarb adds enhances the strawberry’s natural sweetness, plus cooked fruit is so much more fragrant and scrumptious. *Of course I made some adjustment to the amount of sugar added, and I used individual ramekins instead of one baking dish. The crisps were pretty tart, but were perfect after the addition of vanilla ice cream.